Passengers travelling in and out of Changi Airport now can indulge in traditional Chinese food with contemporary flair at the newly opened Peach Garden Chinese Dining at Terminal 2 departure hall. The restaurant features an all day dining menu including its well loved signature creations and classic dishes, and good selections of dim sum. We started with something light on the menu in the Fried Carrot Cake in X.O. Sauce ($9.80). The radish cake comes in huge chunky cube with crispy edges tossed in the aromatic X.O. sauce. 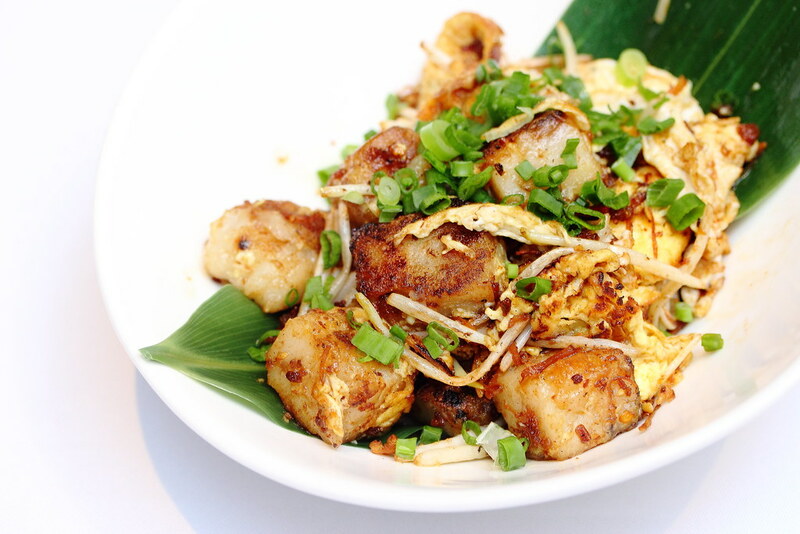 It is further coated with egg to enhance the flavour with the bean sprouts giving it the extra crunchiness. To warm our stomach before starting on the mains, we had the Double-boiled Shark's Bone Cartilage Soup with Bamboo Pith, Dried Scallop and Fish Maw ($26 per portion). 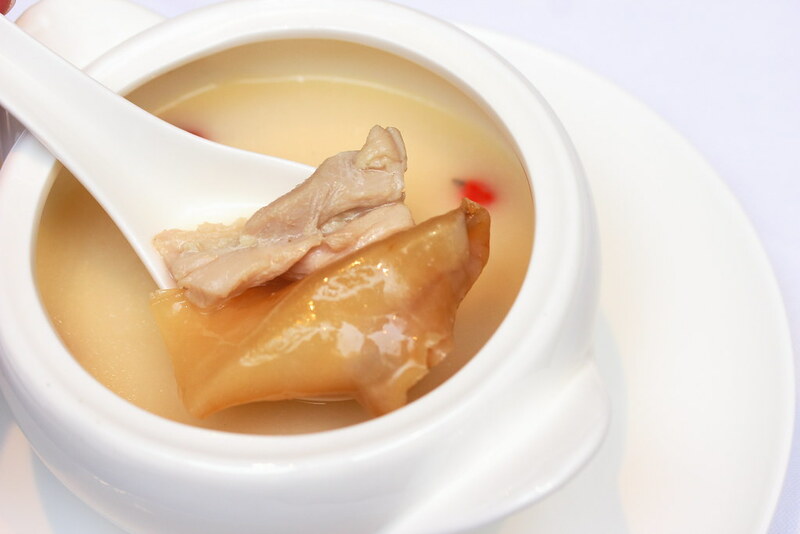 The collagen rich soup is comforting and packed with beautiful flavours, infused with the essence of the delicacies. 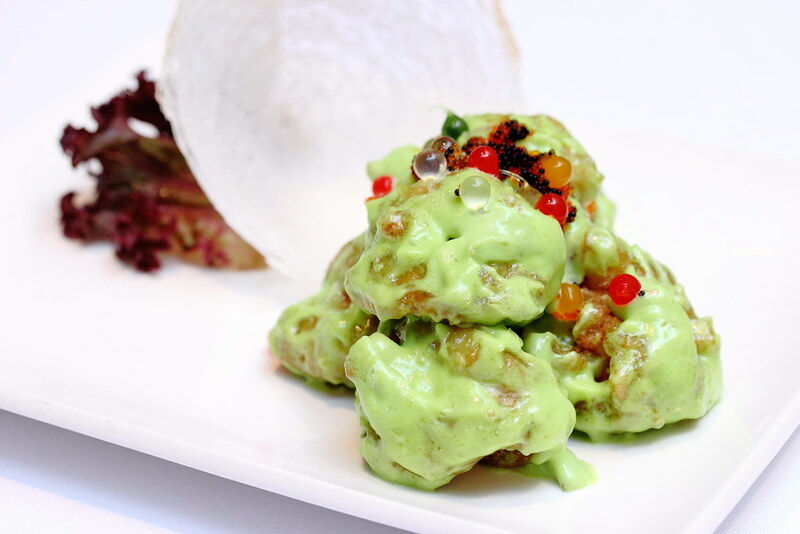 A dish that will delight the youth is the Crisp-fried Prawn with Wasabi Salad Cream ($23.80). The crunchy and plump prawn is coated in a vibrant wasabi salad cream sauce that will stimulate the nasal passages with its pungency. A sensorial experience in the execution. 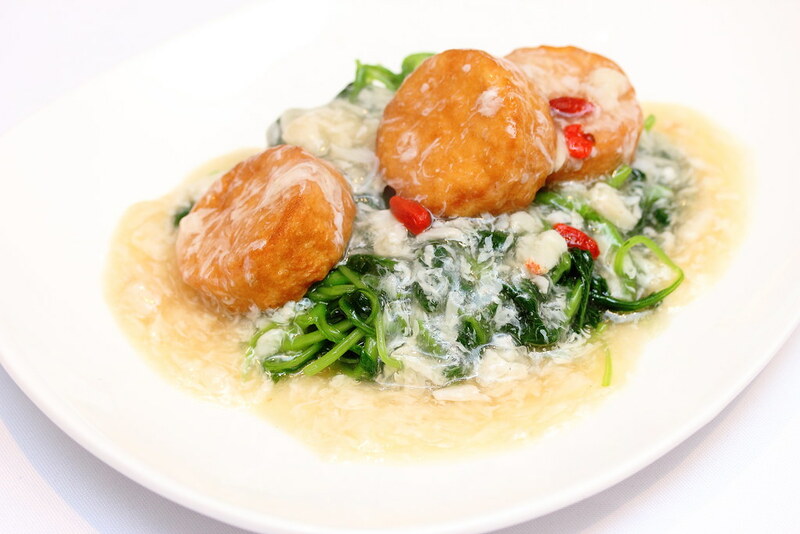 For a balance diet, we ordered the Braised Homemade Beancurd with Fresh Crab Meat and Local Spinach ($18). This is like a three in one dish. You get to have your vegetable, silky tofu and fresh sweet crab meat. One of my favourite dishes is the Stewed Vermicelli with Sliced Fish, Bitter Gourd and Black Bean Sauce ($16). I enjoyed how the black bean sauce coupled with the wok-hei aroma gave the stewed vermicelli a character on its own. 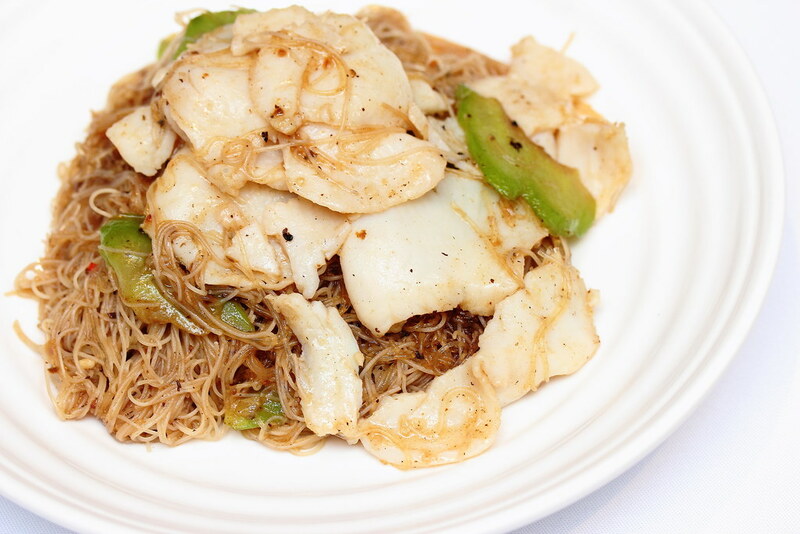 The addition of sliced fish and bitter gourd is like jewels on a crown, completing the homely and yet comforting noodle dish. 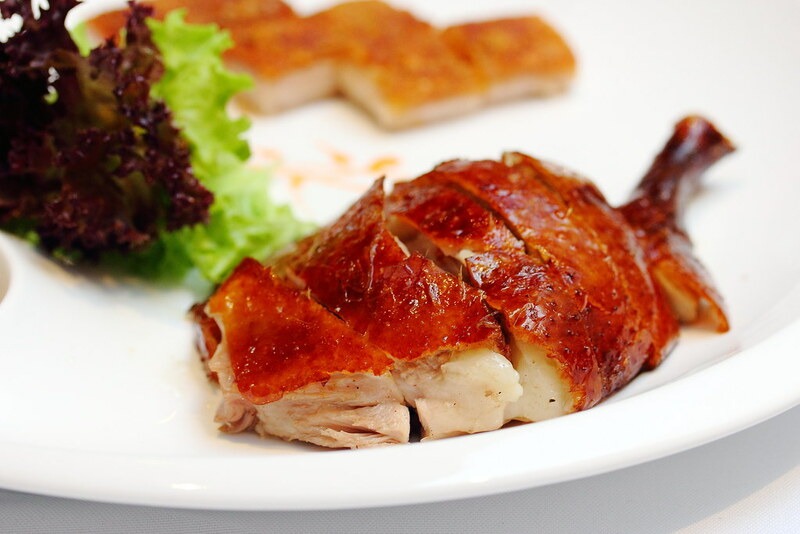 A highlight at Peach Garden Chinese Dining has to be the used of the London Duck, also known as the wagyu of duck. 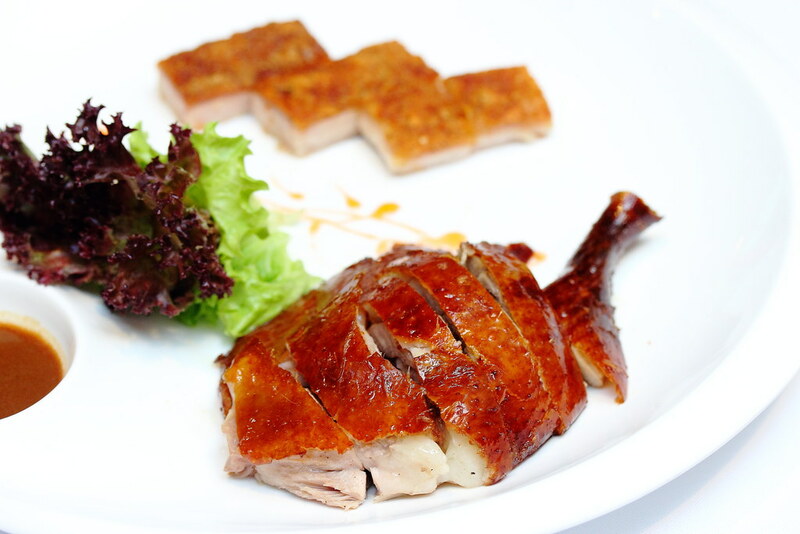 The reason why the Roasted London Duck ($68 Whole/ $35.80 Half/ $18 small) is gaining popularity in Singapore its because of the succulent texture and that layer of fats underneath the skin. This is one dish that you must order from the menu. 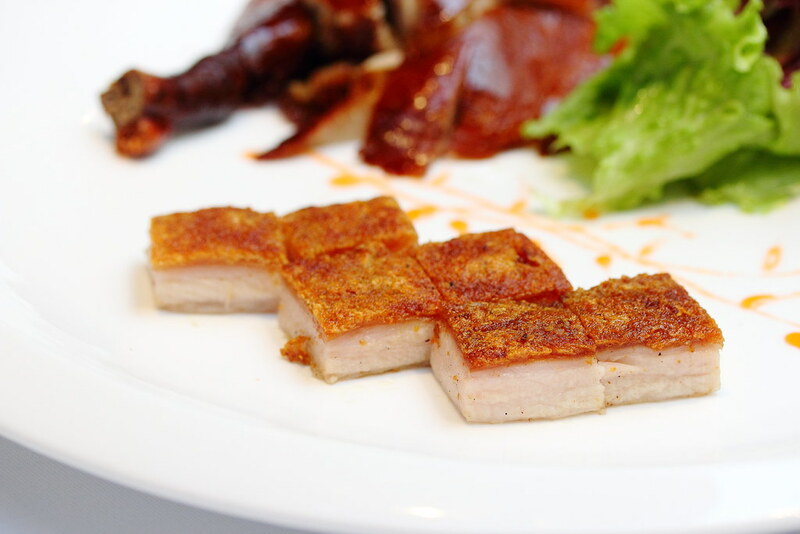 Since we are already having the roasted london duck, might as well add on the Roasted Crispy Pork Cube ($12.80 per portion) to the platter. The crackling skin, together with the succulent and juicy meat is just too good to be only be served in portion in accordance to the number of guests. I wish there are more of it. Wrapping up our wonderful lunch in a sweet note, we have the Chilled Fresh Mango, Sago with Pomelo ($8) and Chilled Black Glutinous Rice with Ice Cream ($8). 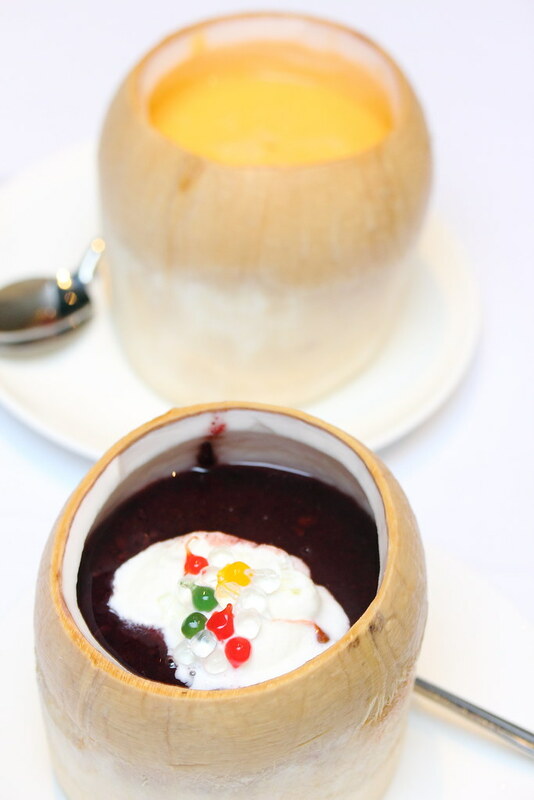 For an additional $3, the desserts are served in a coconut husk. I could not decide which is my favourite as both are as good, so we ended up sharing to enjoy the best of both world. Be it that you want to have a quick lunch before flying off , to host a business lunch or family gathering, the restaurant offers the perfect setting to do so with its 180 seating capacity and three private room. In celebration of its opening, the restaurant is offering an opening special for its signature suckling pig at $168 (U.P. $238). Advance order is required. Diners will also get to enjoy a complimentary serving of deep fried chicken in szechuan style. The opening specials will be available up to 31 August 2016 only. Note: This post was brought to you by Peach Garden.